Is there a minimum amount that you will change? 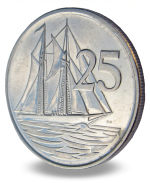 The minimum weight of coins that we buy is 25 kgs. Do UK banks change foreign currency? UK banks do not change any foreign current coins. They also do not change coins that are obsolete or redeemable abroad. UK banks will change current foreign banknotes for a commission, but they cannot change obsolete or redeemable banknotes. Why don’t charities send the coins back themselves? In any collection from a charity we may find in the region of 50 to 90 different countries. Returning coins to these countries individually would not be economical. We package and repatriate the coins when a worthwhile amount has built up. This can be a year or more later, however we pay the charities when our final list is produced, usually within 30 days. We can give the charities favourable rates: it is more economical for them to reroute currency through us than to send it back themselves. Our business of repatriating foreign coins has been built up over many years. There are import restrictions to be dealt with and the regulations are increasing each year. We have financial links with many smaller and more distant countries and we can obtain value for coins and banknotes where others cannot. We also have long standing working relationships with contacts in numerous countries around the world. Where do the foreign coins come from? Every year large numbers of people travel in and out of Britain. In 2008 there were 69 million visits taken abroad from the UK and 81% of these were by air. Travelers will often have a few foreign coins left over that they bring home. Some charities run collections onboard aircraft where travelers are asked to donate their unused foreign coins in the envelope provided. Charities have donation boxes at airports for foreign coins. Charities receive foreign coins through collections within the UK, often through media appeals. 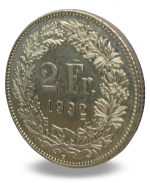 We collect foreign coins from numerous UK charitable sources. UK banks do not change foreign coins, they only change current foreign banknotes (for a commission). Although some charities do have arrangements directly with banks to drop coins there, the banks then reroute the foreign coins through us and we repatriate the currency. We also buy from many other independent currency dealers who do not have arrangements directly with outlets abroad. What do you do with the coins? We sort and package the coins and have arrangements with numerous outlets abroad, set up over the last four decades. We send them back to Europe in bulk loads by ferry, or by airfreight for other countries.